But checking out Heirloom's menu on line, I thought it looked really different and interesting enough for me to try it out. 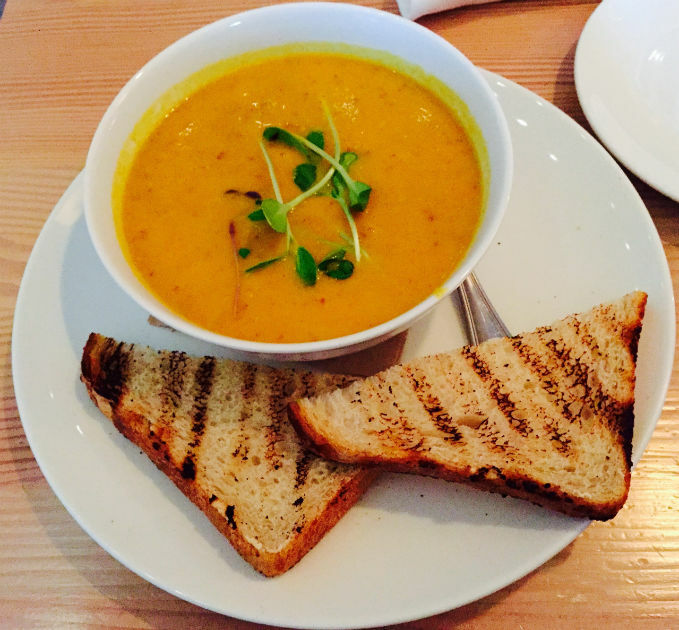 Glad I did because the flavour and creamy texture of the ginger-carrot soup-of-the-day alone was fantastic enough for me to want to make a return visit to try more menu items. As each of us had ordered a bowl of the soup we picked two appetizer plates to share. Luckily we did not go overboard with a our ordering as we both were full after eating only half of our soup portions. Our server brought us containers so that we could take the rest home. We enjoyed both the appetizers. 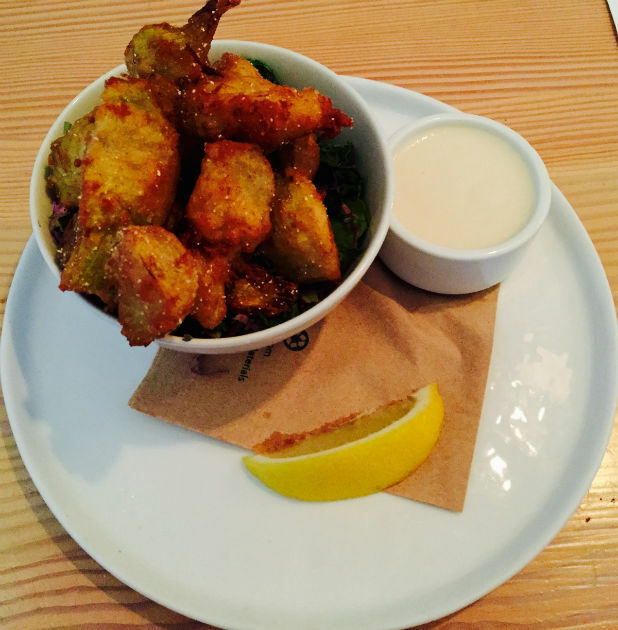 The avocado frites were crisply fried with a cornmeal rub and served with a spicy sauce. The cider battered artichoke hearts were equally delicious. We debated ordering tea or coffee. I was intrigued to see that with one's choice you could have light cream, coconut creamer, soy, 2%, soy or almond milk. Quite a list of options. Heirloom does not take reservations on the weekend. So get there early. By the time we left it was quite full. It was still pouring when we left so we dashed across the road and walked briskly east on 12th Avenue for one block to Pacific Theatre where we saw a great production of Freud's Last Session. Definitely will return to try more of the menu offerings.